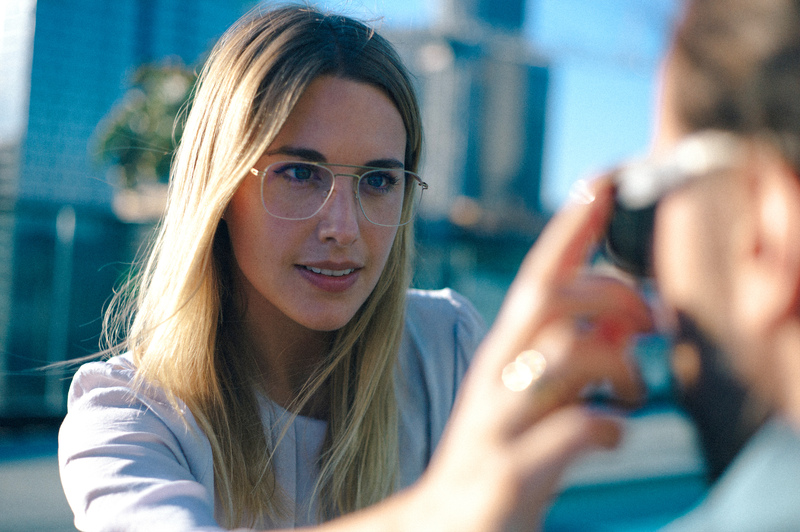 Prototypes are central to the development of new styles at MYKITA. 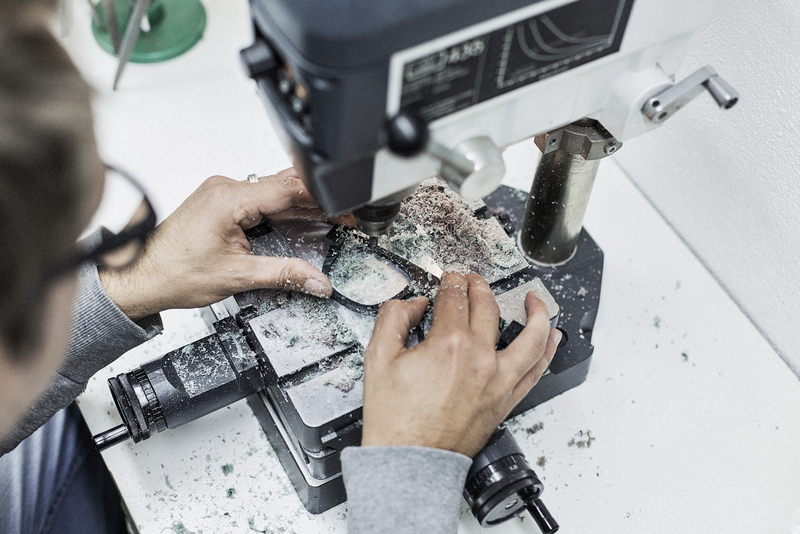 The accompanying photo series sheds some light on the process behind the prototype for LAURENCE – one of the latest models from the MYKITA / Damir Doma collection. 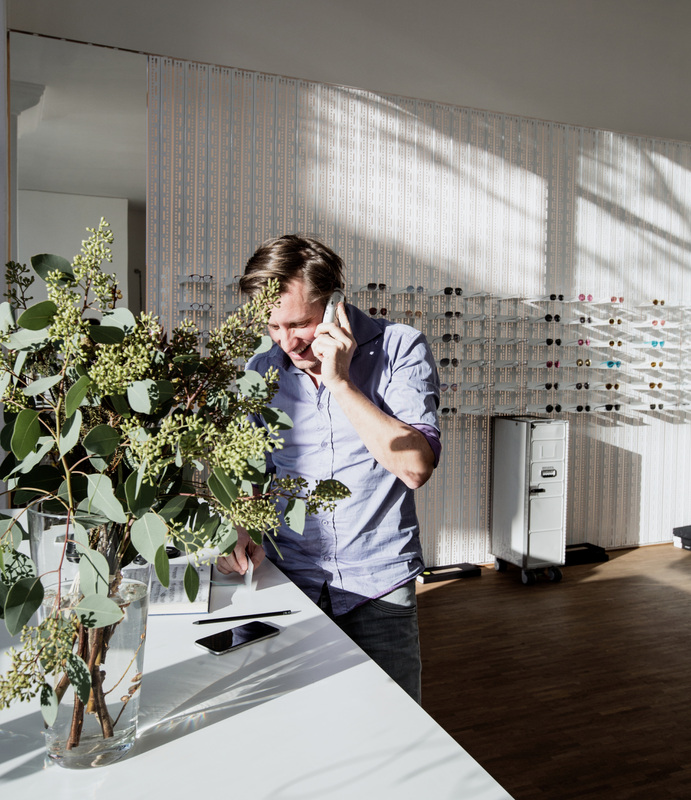 The MYKITA HAUS creates around 3000 prototype models each year, and each one of these comes from the in-house prototype workshop. Frank is the resident prototype engineer, responsible for translating a CAD drawing from the design team into its first tangible, wearable form. 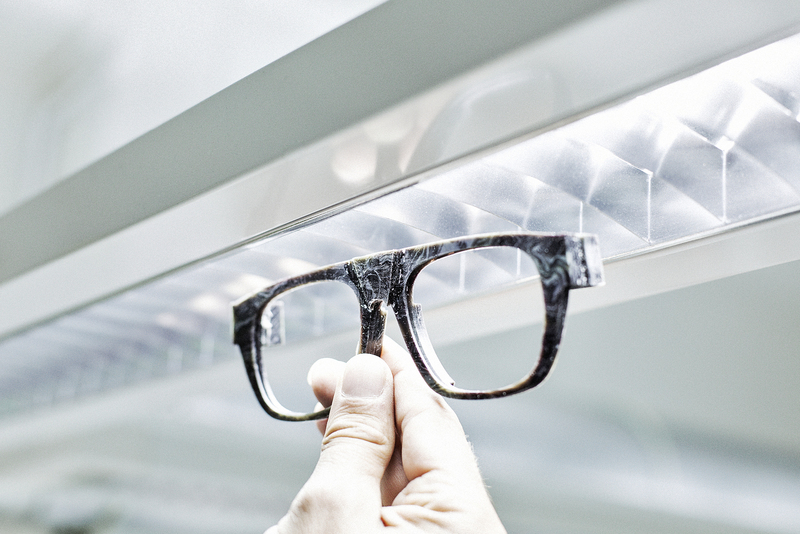 Creating an acetate frame-front such as LAURENCE takes about a day to finish by hand. This process begins with an acetate block. 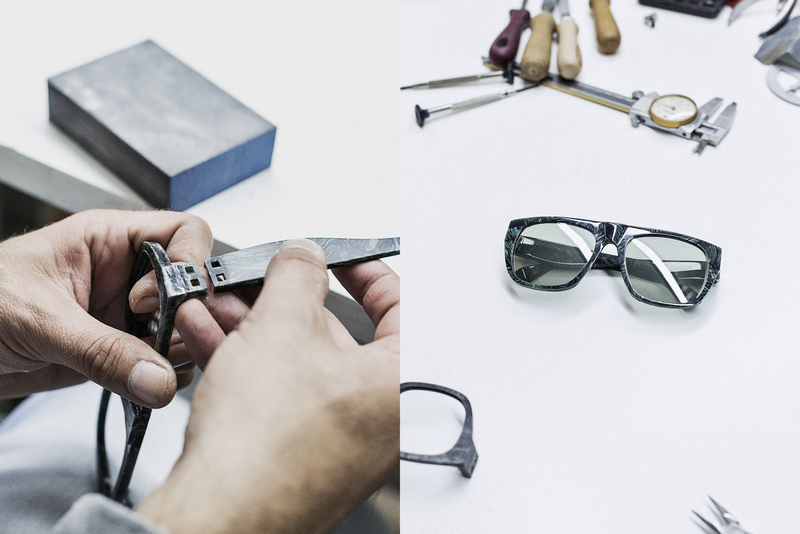 Frank enters the configuration data provided by the MYKITA design studio and with the help of the portal milling machine cuts the acetate block into its basic shape. Small acetate blocks are affixed to the frame-front to accommodate the hinges and the appropriate holes are made using a standing drill. Then comes the most time-consuming part of the process: filing and sanding. 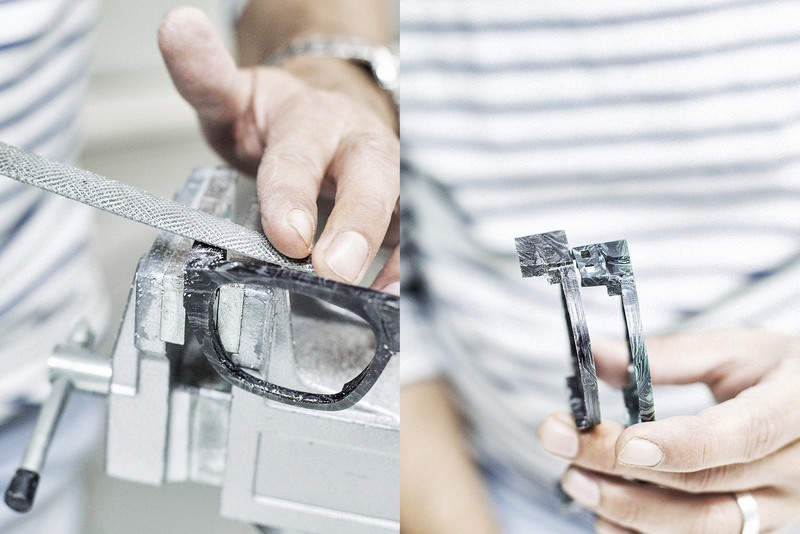 This is done entirely by hand; Frank relies on his eyes – and 30-years experience – to ensure the prototype gets the right dimensions. 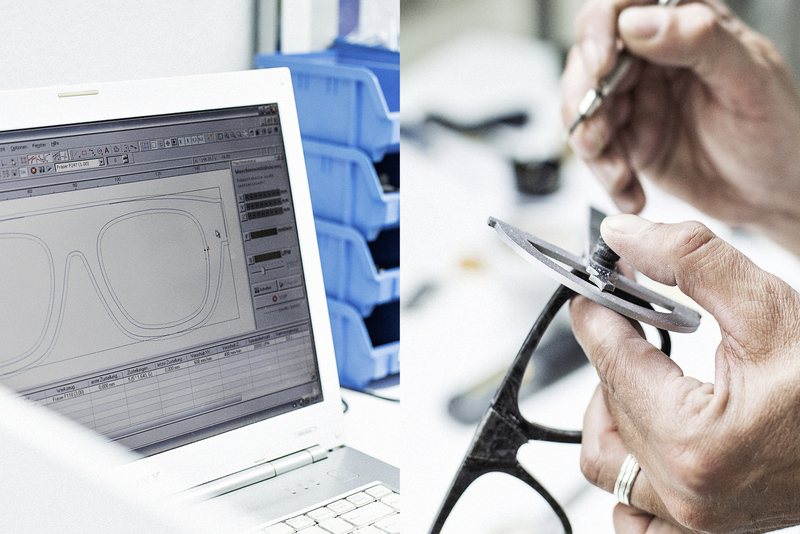 After polishing to achieve the characteristic sheen of acetate frames, a hinge is used to attach the temples. Now the prototype is ready for a first test run. 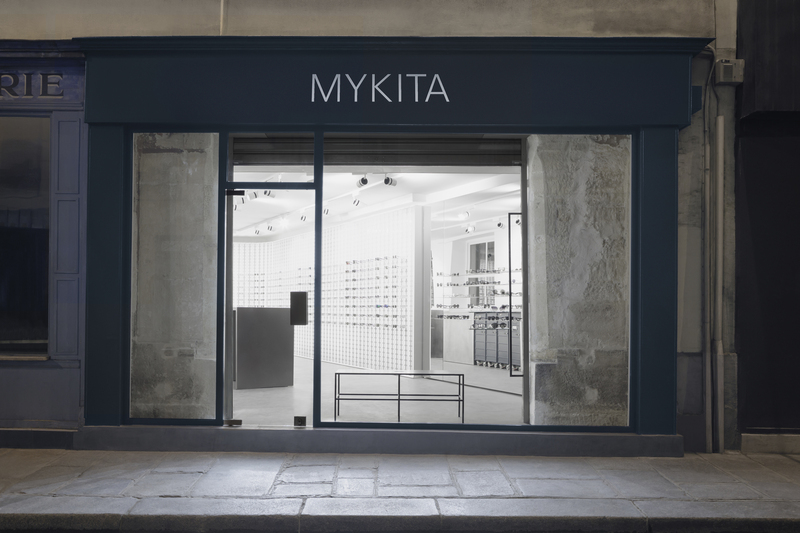 The model is tried and tested by several faces at MYKITA – as well as Damir Doma in the case of LAURENCE. The design team collates the feedback and the appropriate adjustments are made until the look and fit are just right, ready to serve as the template for the serial production. 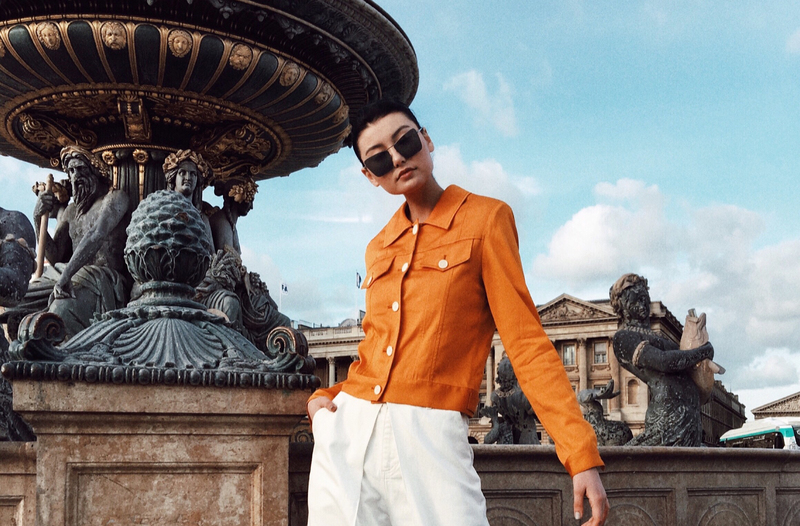 LAURENCE is an oversized masculine frame from the MYKITA / Damir Doma collection. Referencing the focus on textures in Damir Doma's SS2015 clothing collection, LAURENCE is all about the embellished surface. Faux marbling in green and black or grey and blue, animate the model’s generous frame while recalling Art Deco surfaces of the 1930s. 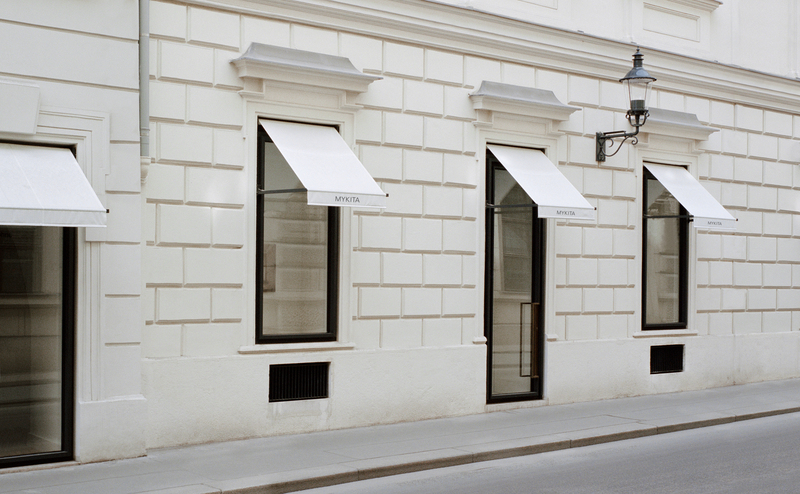 Discover the complete MYKITA / Damir Doma collection at the MYKITA E-Shop.